From an outsiders perspective rope access can look like a hazardous occupation. However, a thorough training and assessment scheme, as well as detailed IRATA guidelines, mean the industry has an incredible safety record. For this reason, rope assess is quickly becoming the access method of choice for many contractors and property managers. At Easy Access Abseiling we take the health and safety of our technicians, those working around them, and the public very seriously. Every job is provided with a risk assessment and detailed method statement, which will always include a rescue plan. All of our jobs are supervised by an IRATA level 3 supervisor and technicians will have the training and competency specific to the task. IPAF and PASMA qualifications allow us to use scissor lifts, cherry pickers and aluminium towers. This means there are almost no areas we can’t access. 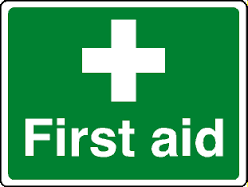 Every site supervisor will be first aid trained, and all technicians will have CSCS, amongst other supporting training. We are fully insured with both public and employers liability, that exceed legal requirements.